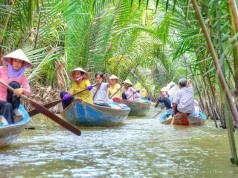 Looking for the ultimate golf tour or golf package in Vietnam? UniGolf can arrange green fees, hotels, transfers, sightseeing tours and all the extras needed to make up the perfect golf holiday. Enjoy your wonderful time at 3 of the best golf courses in the South of Vietnam: Song Be Golf Resort, Twin Doves Golf Club, The Bluffs – Ho Tram and relax at 2 luxury hotels in Sai Gon and Vung Tau. Nestled in a nature oasis, Song Be features a 27 hole USGA Standard Championship Course, which promises an invigorating experience. The 27-hole course is divided into 3 great nines: Lotus, Palm and Desert. Palm trees, menacing bushes and narrow fairways are the main hurdles to overcome on this course. Treat yourself in this lush tropical landscape, while trying your luck on 9 of the most attractive holes you will ever encounter, and you will soon be transported from your busy everyday life. This nine provides a challenge to the most experienced player by demanding not only length but accuracy. Beautifully lanscaped with longer fairways, an array of complex bunkers and an abundance of sand, makes this a highly stimulating course which is required a high degree of accuracy and forward-thinking from the golfer. Located in the new urban area of Binh Duong Province, the newly-opened, 27-hole Championship course is the first private golf course in the South of Vietnam. 27 holes of the course are divided into three 9-hole courses: Luna, Stella, and Sole that can be played in three different combinations. The Luna Course is a great charm in the countryside scenery with the majestic views of small hills and surrounding forest. The fairway corridors significantly shrink on the “Stella” nine, choked by a thick layer of more traditional trees. This is an amazing course where most the green are segregated into the target zones around the lakes that can help you improve the accuracy of your drives. Sole Course is designed with many lakes which is made the best use of to create a challenging game with deep green-colored fairways are contrast perfectly against the blue lake. There is something special at Twin Doves that make golfers feel that they are playing a new fairway in each play. Many experts also commented that it is not easy to find a golf course that has a beautiful design as well as the professional maintenance staff to take care for the grass course like Twin Doves. Only 2 hours by car from Ho Chi Minh City, the Bluffs Ho Tram Strip golf course is located 120 kilometers southeast of Ho Chi Minh City in Ba Ria-Vung Tau Province. Designed by Australian legendary golfer Greg Norman, the “Great White Shark”, the 18-hole golf course was built among the unique terrain in the sand hills of Ho Tram. Due to strategically placed dunes, grassy hollows, bunkers and water hazards, players will have to ‘think’ their way through each hole. The Bluffs Ho Tram provided spectacular and panoramic views from every hole overlooking the stunning East Sea, especially at the elevation of 50m, the highest hole of the course (15th) will span the horizon as far as your eyes can see. Perfectly located right in the center of Sai Gon with Ben Thanh market and many of Ho Chi Minh City’s most popular attractions on the doorstep, the hotel offers 533 tastefully appointed rooms. Granted the Rakuten Travel Award 2014 and Agoda Gold Circle Award 2014, this international five-star hotel presents the finest in modern Oriental hospitality. Ho Tram Strip’s first luxury integrated resort is drenched in tropical sunshine and bordered by the untouched beaches fringing the East Sea. Combining elegant and gracious service with entertainment that pushes the limits, The Grand Ho Tram Strip is the perfect mix of exciting day life and exhilarating nightlife. Day 2: After breakfast, car will transfer you to Song Be Golf Resort to play 1 golf round here. After the golf round, you could go to Lai Thieu (the land of fruits in southern Viet Nam) for visiting the fruit orchards here then pick your own fruit (seasonal and paid by guests) before head back HCM city. Free & easy night. 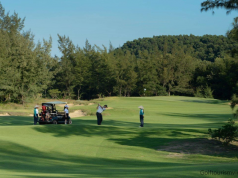 Day 5: After breakfast, you will play 1 final golf rounds at the Bluffs – Ho Tram. Free & easy on afternoon and evening. Day 6: After breakfast, check-out then car will drive you back to Tan Son Nhat Airport in HCM City. End of service. 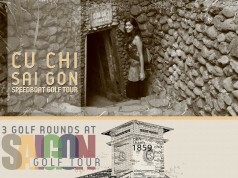 Keyword: vung tau golf, sai gon golf, song be golf resort, twin doves golf club, the bluffs ho tram.